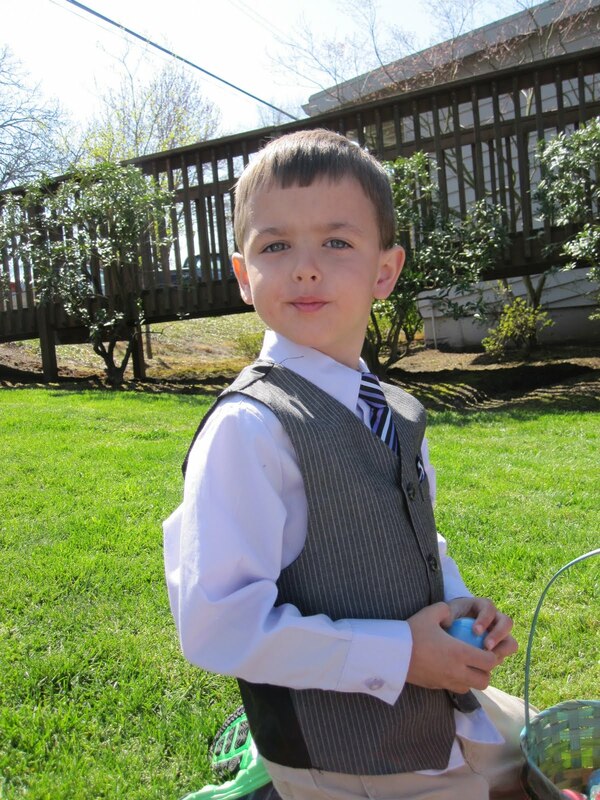 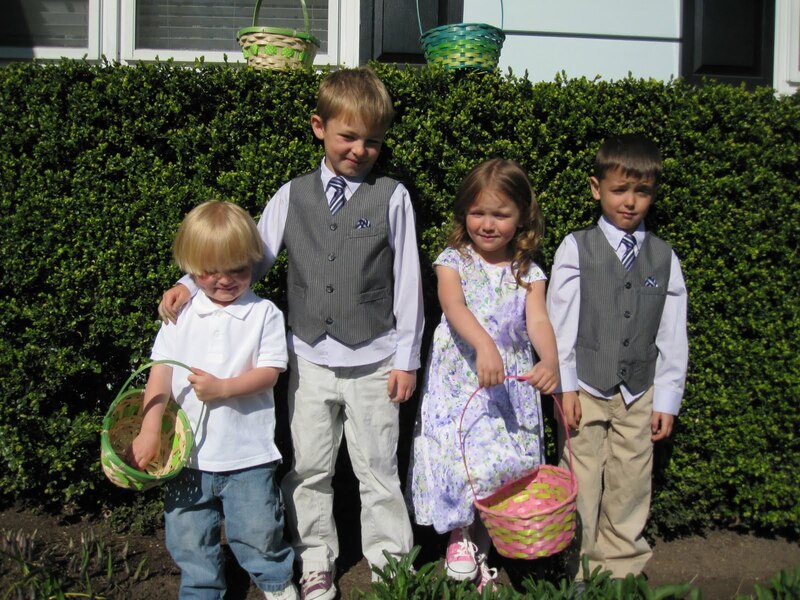 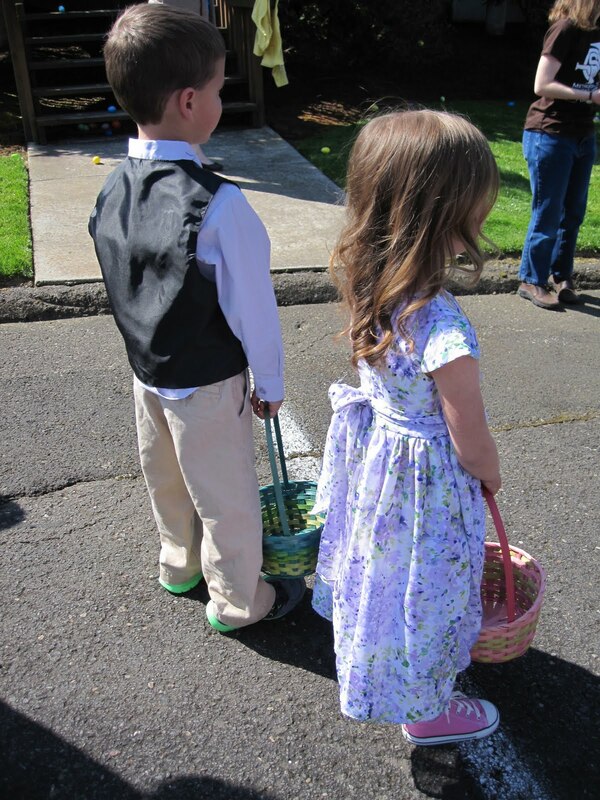 Because Saturday was our last day in Portland and it was gorgeous, we decided to celebrate Easter early. We got up and ready then headed to the Grace Point Church down the street from my parents. 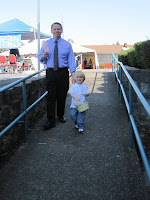 The Church had an amazing carnival. 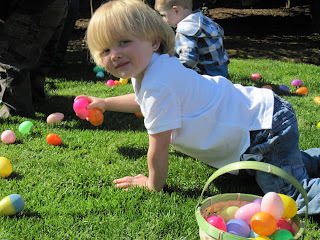 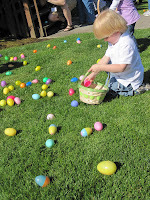 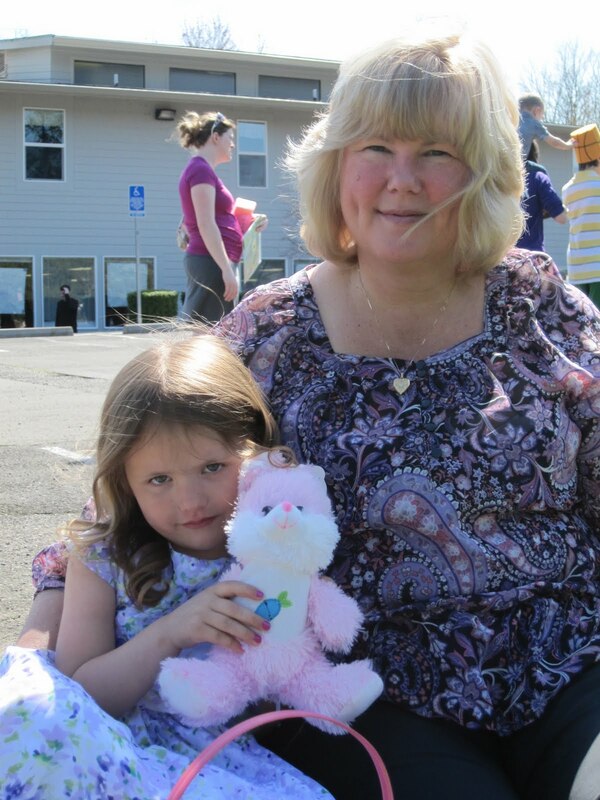 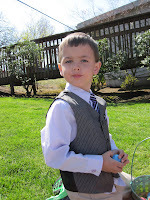 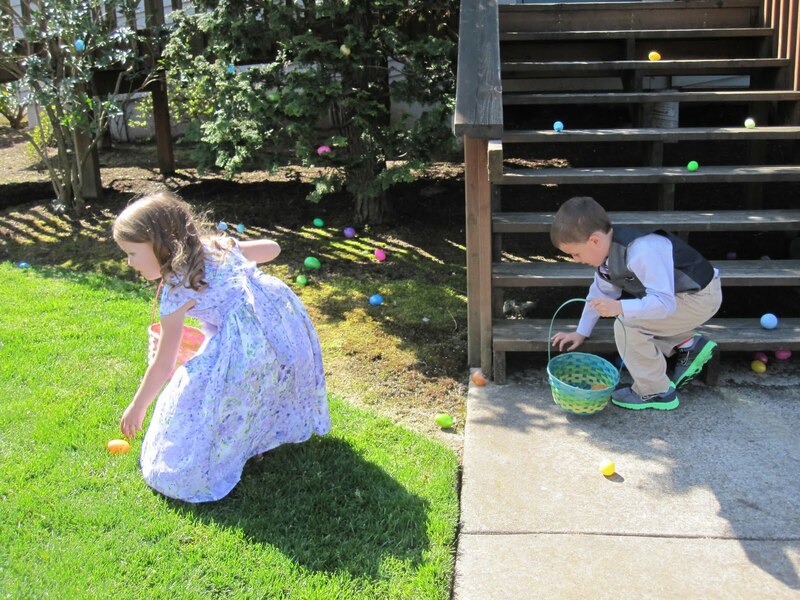 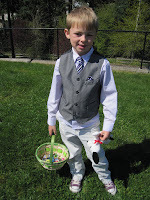 The kids played games, jumped in bounce houses, had lunch and of course, easter egg hunts. They got so much candy and tickets to turn in for prizes. 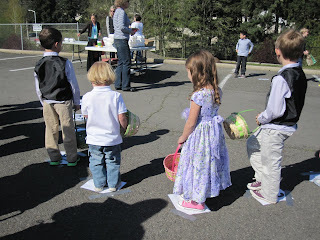 They loved the ticket idea and had a lot of fun picking what they wanted with the tickets. 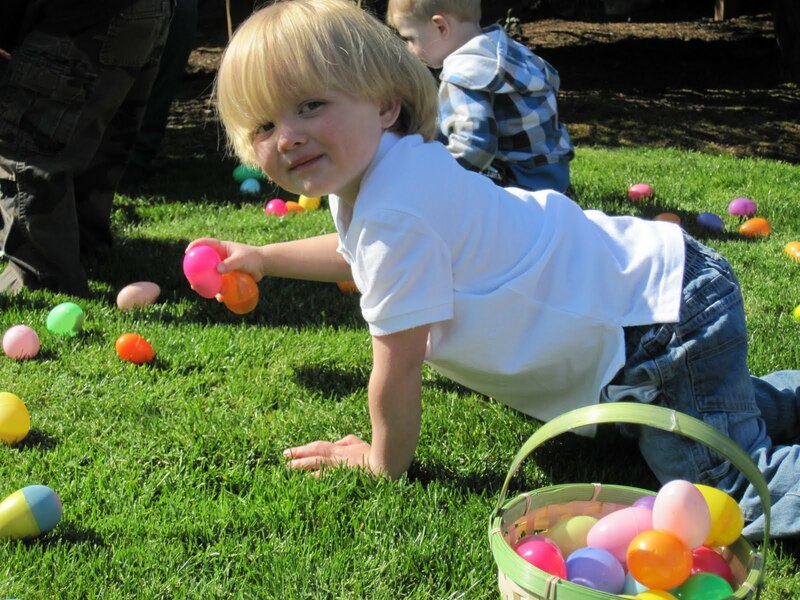 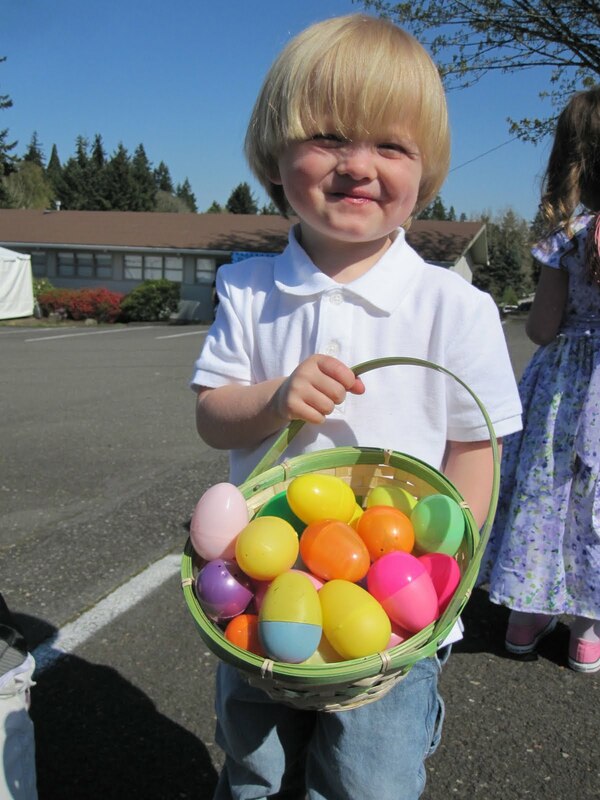 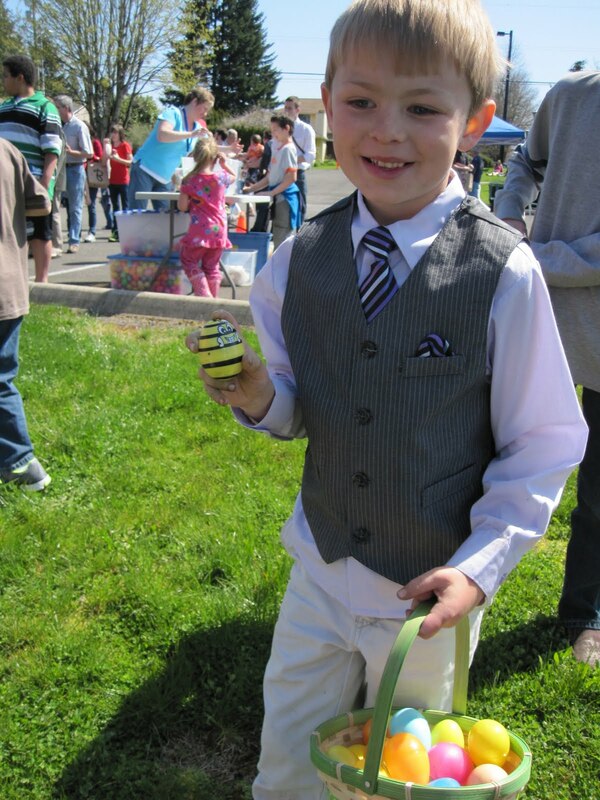 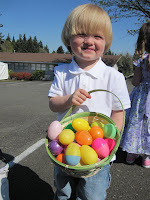 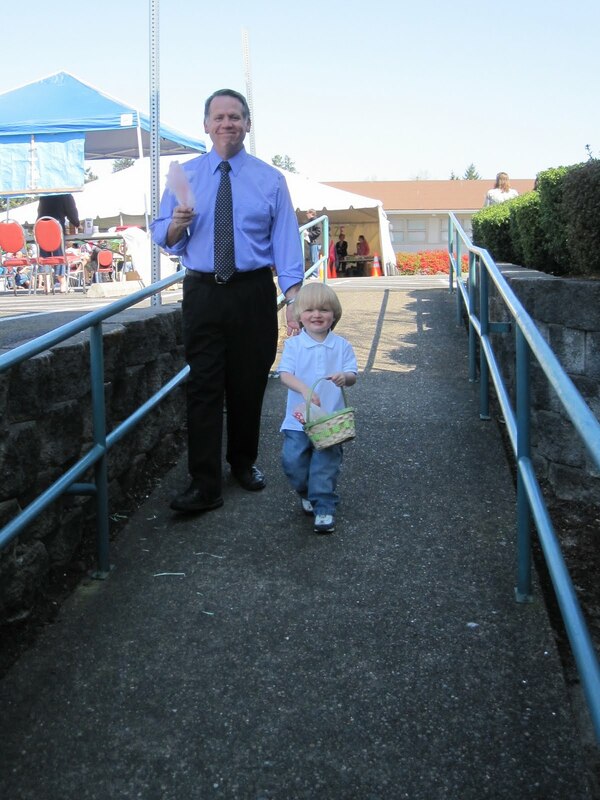 It was so much fun and really nice because it wasn't too crowded like some other Easter egg hunts in the area. A little too sunny, but still a cute picture of all 4 of them. 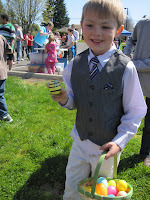 Parker's Egg Hunt and Eggs- he got the most!